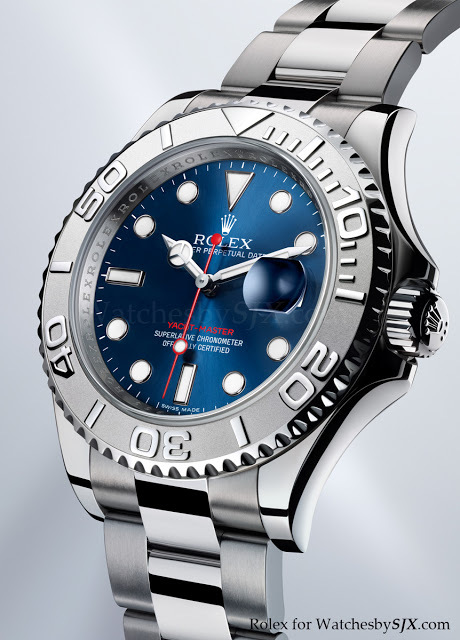 I actually find the new Yacht-Master ref. 116622 in Rolesium (referring to the combination of steel and platinum) just unveiled at Baselworld 2012, more interesting than the new no-date Submariner ref. 114060. 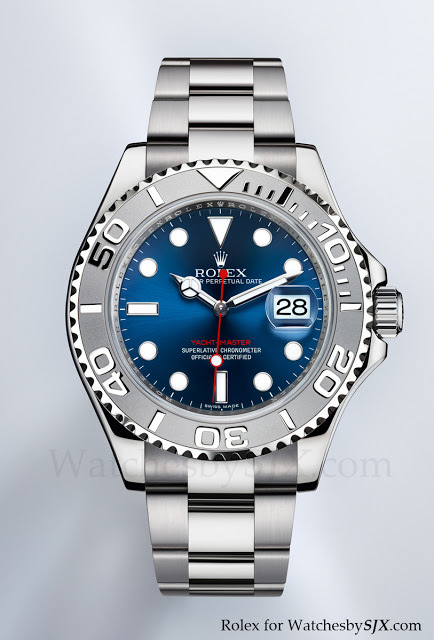 I already have a no-date Sub, and now the Yacht-Master finally has the improved bracelet, plus I like the blue dial. 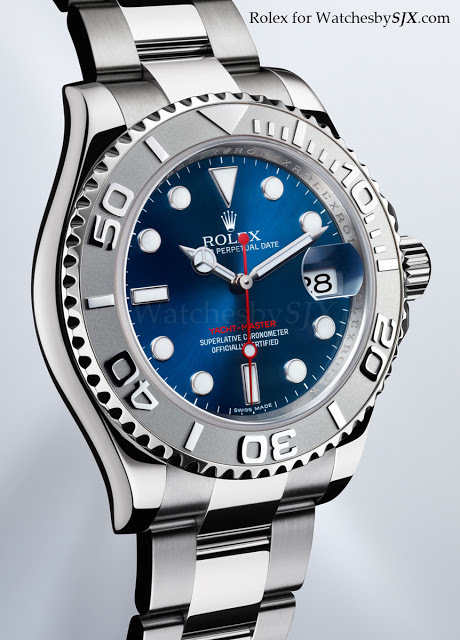 This new Yacht-Master is essentially an upgraded version of the current ref. 16622 Yacht-Master Rolesium with a silver dial that is actually platinum. 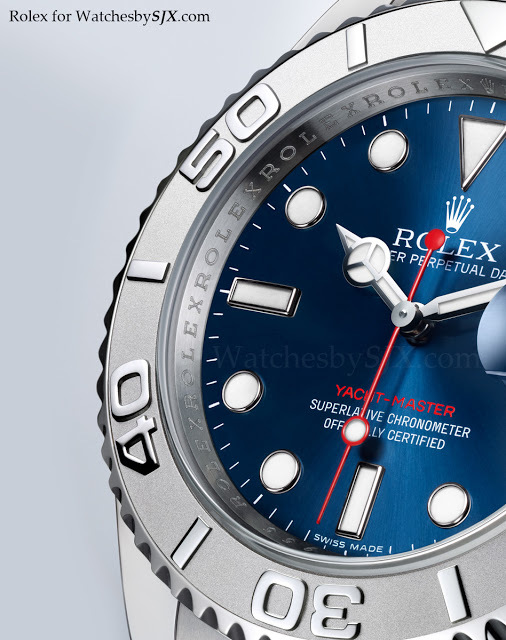 This Yacht-Master has a metallic blue dial with Chromalight luminous material on the indices and hands, giving them a pale blue glow in the dark. Furthermore this Yacht-Master has a solid link bracelet with the spring-loaded Oysterlock clasp. But the major improvement in addition to the bracelet is the new bezel which has 120 clicks in both directions. 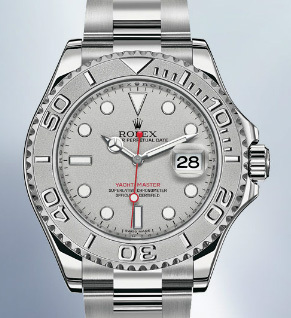 The clicks on the previous Yacht-Master bezel was never quite as crisp as that on the Submariner so this is good news. The case remains the same 40 mm as before, and the cal. 3135 movement is unchanged as well. 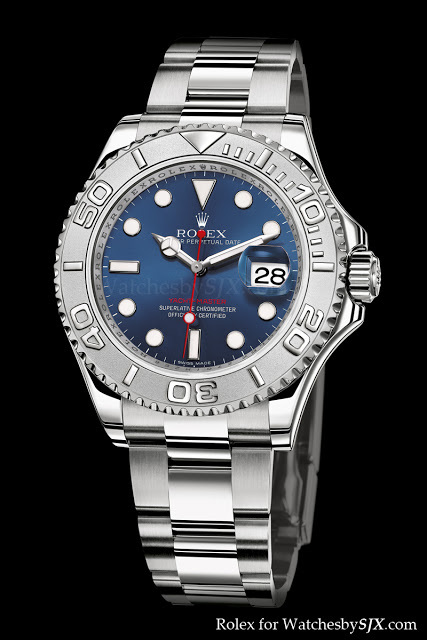 The blue dial version pictured has a platinum bezel, while the grained platinum dial is still available as the new model, with the same reference no., 116622.